In addition to our shop, we offer various services. Chic Cham is opening The Corner Shop. A shop in the shop where creators' products can be displayed and promoted. Located in a former industrial smithy, this place is unique, raw and highly charismatic. Creators and designers who are willing to exhibit their creation would benefit from a rare and coiled space within the iconic shop. Moreover, Chic Cham would promote the event via its social networks. Chic Cham helps you in your needs of interior design and decoration. Whether your request is private or professional, we offer advice and concepts tailored to your needs and budget. Chic Cham offers you the possibility to create customized rugs. You choose the size, the colour, and the material you want. Wool, cotton, or banana fibre, carmine red, mustard yellow or faded pink... woven and dyed for you by our craftsmen in India. You will find in our shop a selection of vintage furniture (1940-1980), unique pieces from architects and iconic designers. If you have a particular project or are looking for a rare piece, Chic Cham can make this research for you, free of charge. 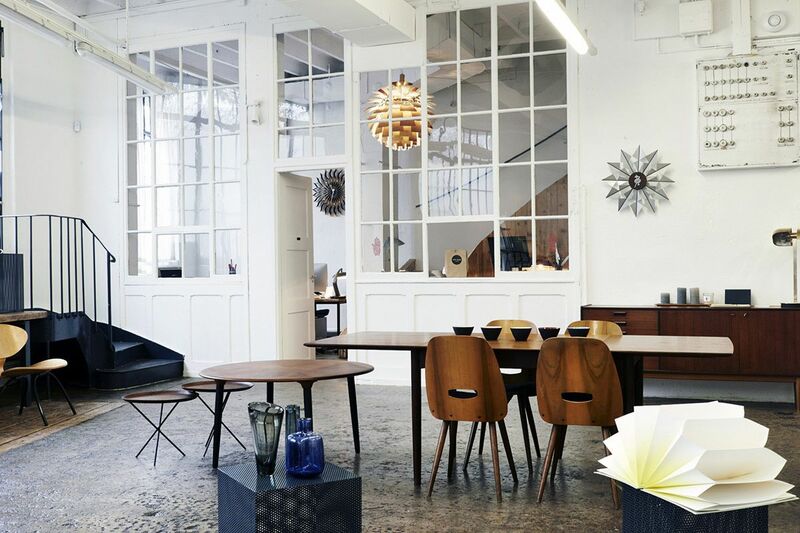 Our shop is appreciated for its unique post-industrial character and its neo-vintage furniture. If you want to organize a private event, a photo shoot, or the shooting of a video project, we offer space rental possibilities, depending on your needs.